“Going through the world you leave the imprint in every heart”. I found the picture showing the footprints in the sand and this caption some time ago. I was so impressed that I still keep this picture in my mind. It comes into my head at that very moment when I am standing in front of the monument built in honor of Blessed Father Beyzym SJ. I have been to Ambahivoraka a couple of times before that day to meet the village inhabitants. I wanted to talk to them and ask them what they remembered. It would not be their personal experience, but the memories of their parents. 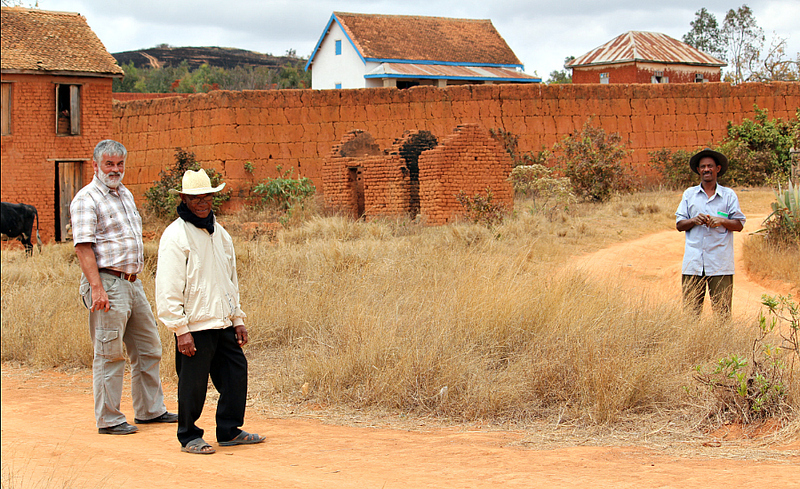 When we were walking among the ruins of the former leper asylum with Jean de Dieu, one of the oldest inhabitants of the nearby village, he told me about those distant days. As it turned out, his grandfather owned the piece of land where Father Beyzym built the asylum and the church. Today one can see only the remnants of the walls and it is difficult to tell where the church was, or the storage, or Father Beyzym’s house. 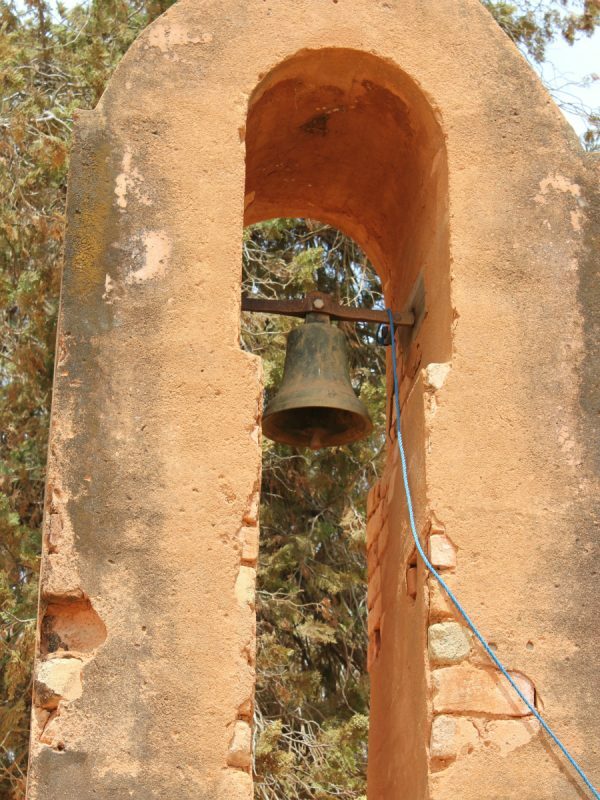 The only reminder of those days (and Soamanandray inhabitants are proud of it) is the bell that told the time to pray for Ambahivoraka inhabitants. Now it is located on the bell tower of the parish and calls the inhabitants for Sunday praying. It is not very often that they have the priest coming for Sunday service. The faithful usually pray together and the catechist entitled gives them communion. 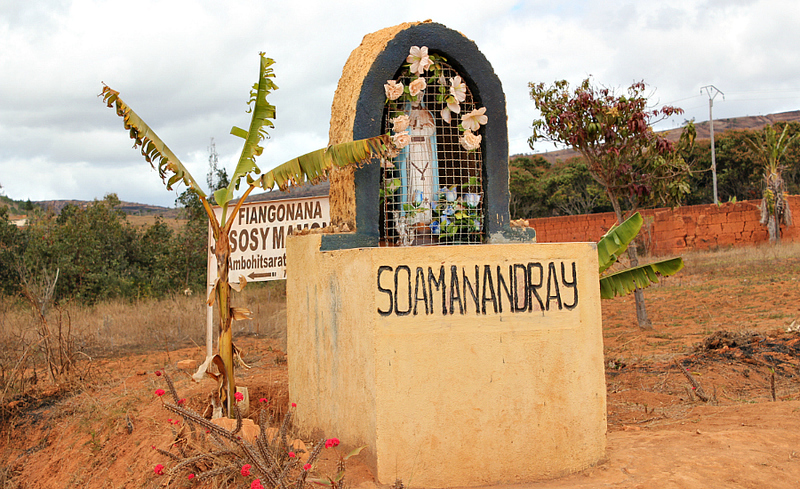 In one hundred and fourteen years the spiritual life in Soamanandray was revived on Saturday, June 23, 2012. Eleven priests came to the village to co-celebrate the Mass. At the beginning of the Mass the catechist stressed that there was no such an event in Soamanandray before for so many priests came to co-celebrate the Eucharist. 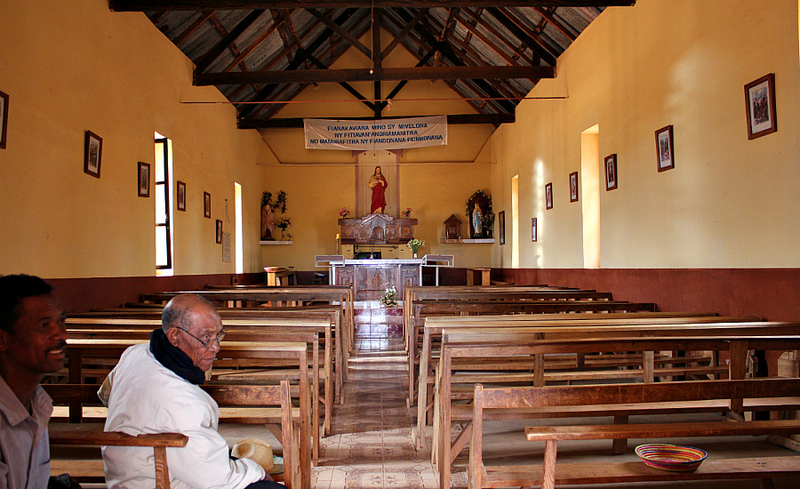 The Holy service was celebrated by Father Pierre Andre Ranaivoarson SJ, the Provincial of the Society of Jesus Madagascar Province. The Eucharist was also co-celebrated by me, Father Provincial Wojciech Ziolek from Cracow, Polish missionaries of different orders and Madagascar Jesuits. In his homily Father Pierre Andre stressed Father Beyzym’s care for the sick people, his dedication to his supervisees, his devotion to them to the end of his life and also his achievements in the development of the public awareness for the leprosy problem and finally, the progress of the medical science in this field. There were not many missionaries in the history of mission who devoted themselves to lepers. Father Damian, from Belgium, who worked on the Island of Molokai, is worth to be mentioned among the others. The missionaries did not treat the disease, they worked hard to help the poor people to carry their cross. During Father Beyzym’s time there was no medical treatment for the disease. The only thing he could do was to reveal the human nature in those least of them, to show that they were loved and let them die in human conditions. There were 150 people in Ambahivoraka asylum. Each of them had a roof over the head and food to eat. The lepers lived in dark dens - two meters by two. In those dens Father Beyzym visited them. 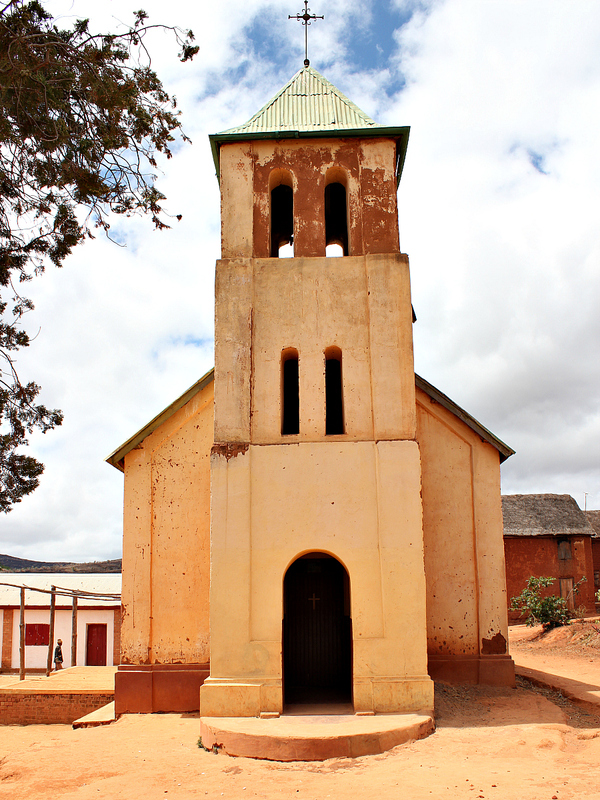 The food that he gathered for them in Antananarivo was insufficient. That is why he and his supervisees cultivated maize, rice and other types of vegetables exposed to the locust and other insects attacks. The plants were to be thoroughly protected and the responsibility for the protection was on Father and his flock. After the Holy service all the guests shared a meal in cordial atmosphere in one of the classrooms of the parochial school. The inauguration of the monument was at 2 p.m. The Minister of Health (she did not manage to come), the Honorary Consul of Poland Mr. Zbigniew Kasprzyk and his wife, representatives of the local government were invited to participate in the ceremony of inauguration. The ceremony was opened by Father Henryk Sawarski. In his speech he told the audience about Father Beyzym’s personality and spirit. Because all the present were from different countries and different language groups, the speech was in three languages: Malagasy, Polish and French, so everybody could enjoy the pleasure of understanding it. Father Provincial Wojciech Ziolek SJ, Mr. Zbigniew Kasprzyk, representatives of the local government spoke as well. Fra Joseph Ralaivao SJ recited his poem dedicated to Father Beyzym. 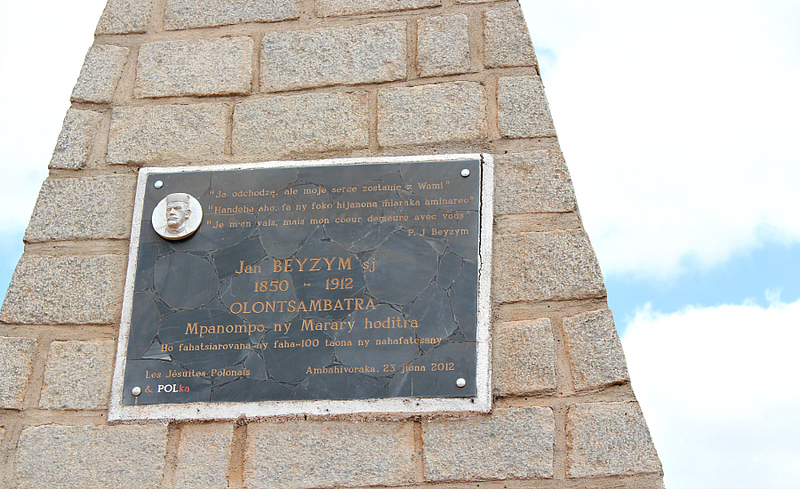 The commemorative plaque dedicated to Blessed Father Jan Beyzym was unveiled after the public speaking. Father Jozef Pawlowski SJ and Mr. Albert Zieba, the initiator and implementator of the idea, were honored to unveil the plaque. After the intercessory prayer Father Pierre Andre aspersed the stele and the faithful generously. The portrait of Father Beyzym and his last words “I am leaving but my heart stays with you” were carved on the plaque in three languages. 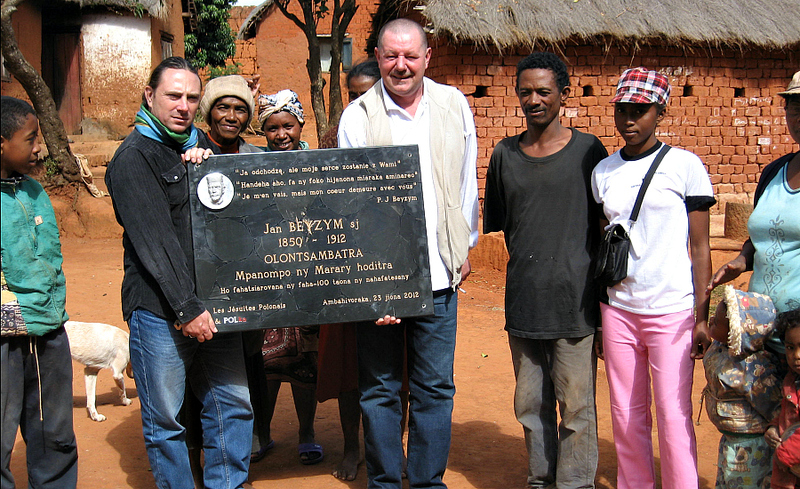 The faithful who were gathered at the foot of the monument that day were given the commemorative picture of Father Beyzym, the copy of the beatification image painted by Ms. Dorota Koziol during her visit to Madagascar in 2009. There were also series of group and individual commemorative pictures with the monument in the background. The official ceremony was finished with a beautiful Malagasy song to honor Our Lady, whose figure is on the opposite side of the road. The song “ Zapada zmrok, już świat ukołysany…” sang by our group, was the Polish accent of the ceremony. In accordance with the local tradition (“fomba”) all the participants were treated with a celebratory meal. In the shine of the setting sun a lot of the ceremony participants visited the ruins of the former Father Beyzym’s asylum situated 300 meters from the stele. 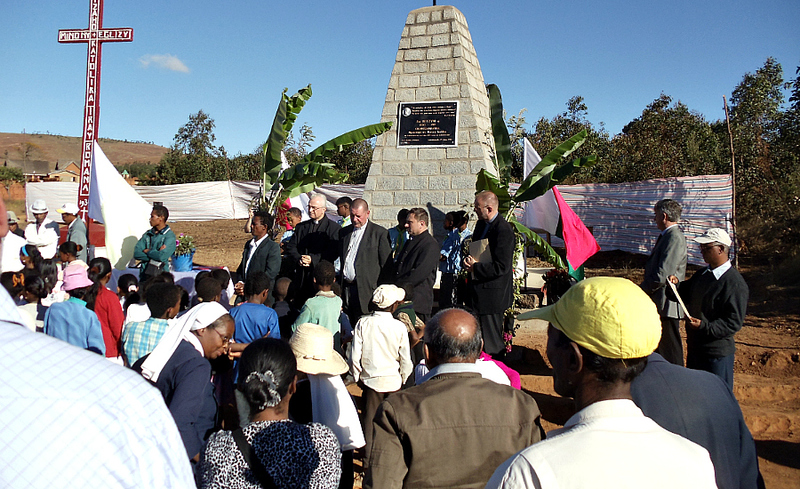 Those who visit Madagascar or are aware of the poverty and misery on the island from the TV programs may be curious why the money spent on the monument were not used to help poor people there. This is very European point of view. 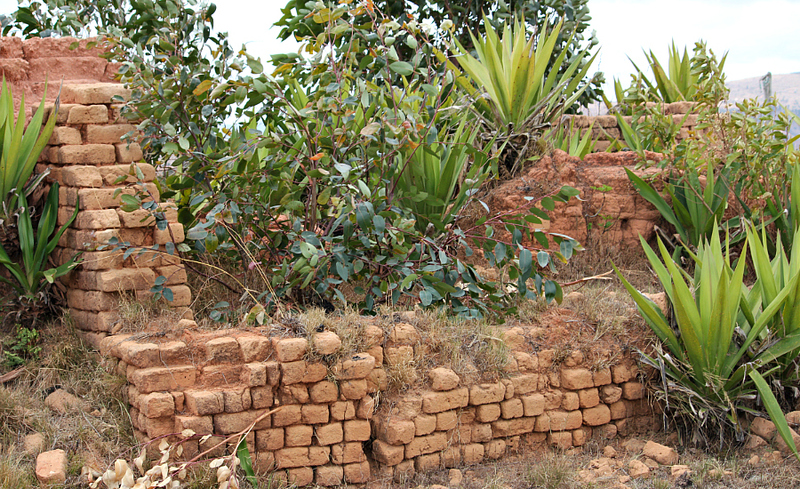 The situation looks different if you come to know the Malagasy culture. When you travel through the country from the East to the West and from the North to the South, you can often see monuments - “Tsangam-bato”- even in the most remote and uninhabited places, by the roads or on the hill slopes. They are everywhere. What meaning do they bear? 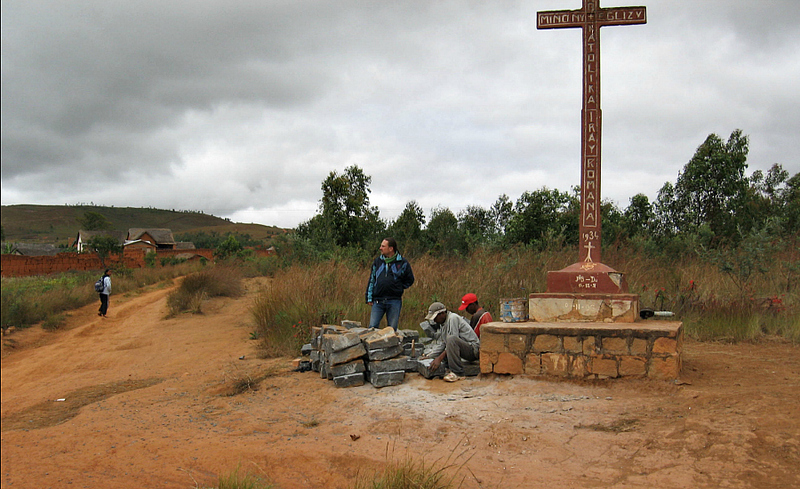 In the Malagasy culture the dead play a very important role in the everyday life of people, even Christians. Grandparents, parents, relatives or children reside after their death close to Zanachara (God). Being close to God, they could interfere in the lives of living people. That is why they are honored and respected. Tsangam-bato are erected to honor the dead and to be the sign of their presence in the lives of the living people, the symbol of gratitude and remembrance. 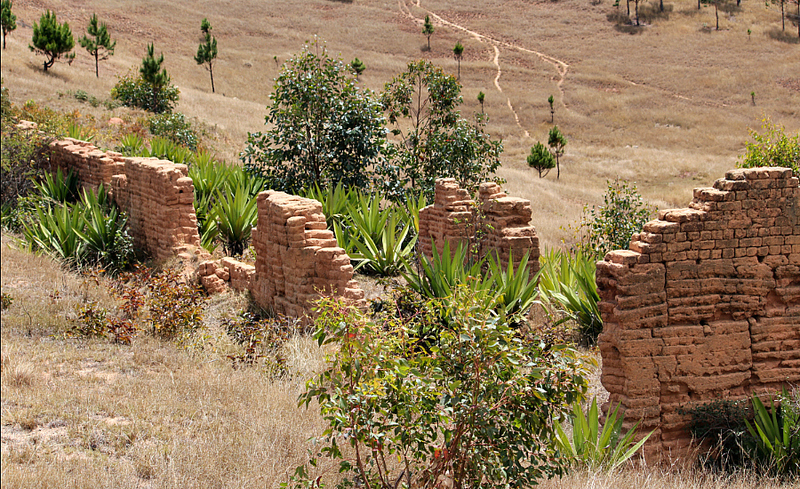 Tsangam-bato is usually built for one person and in the place where that person lived, or died, or often passed through, for example: by the road or near the house. The erection of the stele is not only the symbol of appreciation and remembrance but also the duty of the family or village. Tsangam-bato is equal in importance with the tomb and nobody will dare to remove it from his field, even if nobody remembers in the memory of whom the monument was built. 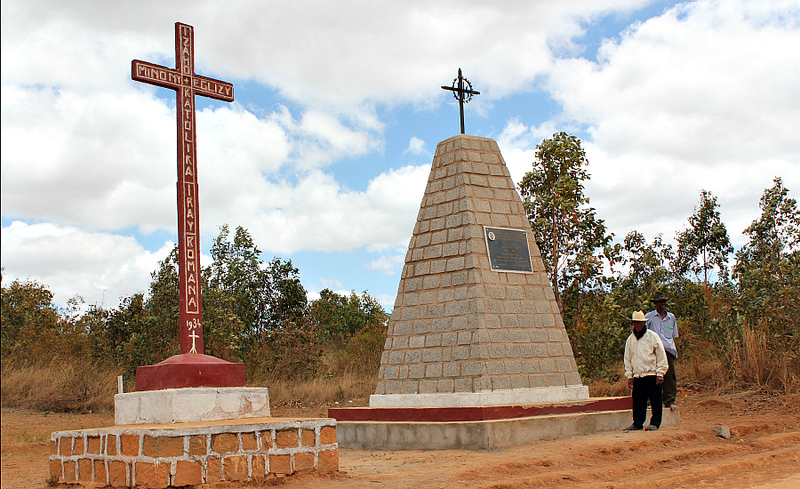 The stele erected in the memory of Father Beyzym is the matter of honor for the village of Soamanandray inhabitants. It is their privilege and responsibility to care that the memory of Father Beyzym is kept alive. To sum up, I want to thank the South Poland Province of the Society of Jesus and my fellow countrymen for the financial aid in realisation of the monument construction and celebrations to honor Blessed Father Beyzym. 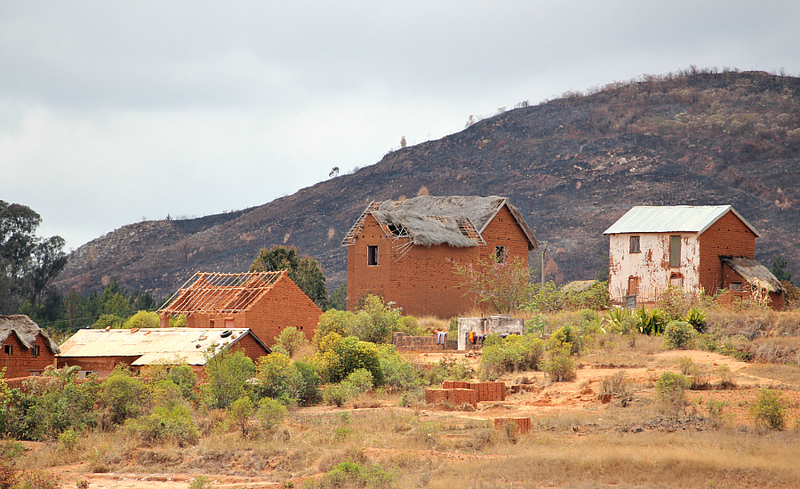 Missionaries on Madagascar and all over the world are committed to their mission. We work among the aborigines. But the contribution of our fellow countrymen to the missionary activities by means of financial assistance is also very important. From the bottom of our hearts we say God bless you for your help, not only financial but, first of all, for your prayers, for sacrificing your steadfastness in our intention. Each of us needs spiritual assistance and support. We believe that every missionary has his “angels” - known and not - who are his intercessors with God. We do not want to be in your debt. Not in financial way but by our prayers and our daily beneficence and sacrifice we plead to God on your behalf imploring His graces for you.